*4500+(OC) memory frequency can only be achieved when a single memory module is installed (Single channel memory). 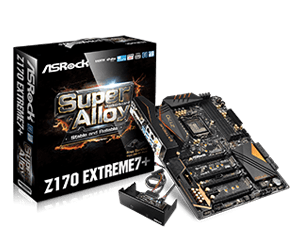 Please refer to Memory Support List on ASRock's website for more information. *3866+(OC) memory frequency can only be achieved when a single memory module is installed (Single channel memory). **Due to the operating system limitation, the actual memory size may be less than 4GB for the reservation for system usage under Windows 32-bit OS. For Windows 64-bit OS with 64-bit CPU, there is no such limitation. *The size of maximum shared memory may vary from different operating systems. **Intel HD Graphics Built-in Visuals and the VGA outputs can be supported only with processors which are GPU integrated. ***Due to chipset limitation, the Blu-ray playback of Intel HD Graphics is only supported under Windows 8 / 8 64-bit / 7 / 7 64-bit. ****Intel InTru™ 3D is only supported under Windows 8 / 8 64-bit / 7 / 7 64-bit. M2_1, SATA3_0, SATA3_1 and SATA_EXP0 share lanes. If either one of them is in use, the others will be disabled. M2_2, SATA3_2, SATA3_3 and SATA_EXP1 share lanes. If either one of them is in use, the others will be disabled. M2_3, SATA3_4, SATA3_5 and SATA_EXP2 share lanes. If either one of them is in use, the others will be disabled. *M2_1, SATA3_0, SATA3_1 and SATA_EXP0 share lanes. If either one of them is in use, the others will be disabled. *All CPU / Chassis Fan Connectors can auto detect if 3-pin or 4-pin fan is in use. The CPU Fan Connector supports the CPU fan of maximum 1A (12W) fan power. *The CPU Fan Connector supports the CPU fan of maximum 1A (12W) fan power. 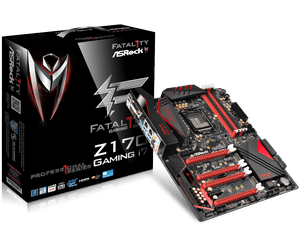 *These utilities can be downloaded from ASRock Live Update & APP Shop. *To install Windows 7 OS, a modified installation disk with xHCI drivers packed into the ISO file is required. Please see our online tutorial or check our User Manual for more detailed instructions. 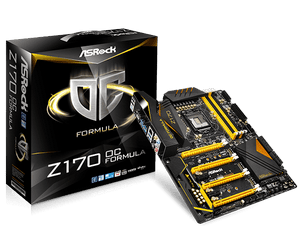 For the updated Windows 10 driver, please visit ASRock's website for details.